In the last two years, the government has initiated many projects to promote the industries and IT sector in the country. However, accurate implementation of these projects at the local administration level is important for sustainable development of industries. 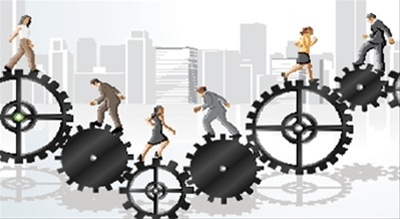 The state has to ensure an apt environment, transparent set of rules, required skilled manpower, availability of facilities at reasonable prices for growth. Maharashtra has always tried to keep industries in priority. Foreign investments continue to lead the state’s economy. 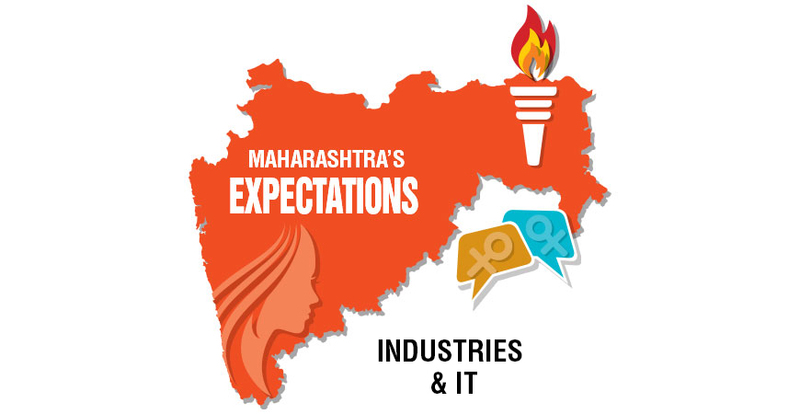 But when compared to other states, Maharashtra has to look for overall development of the industries and IT sector. Fortunately, human resources are available in the state in plenty and if given skill training as per requirement, the state’s productivity will increase. Following approval of Goods and Service Tax (GST), it is expected that the tax system would be more coordinated and organised from the next financial year. All kinds of resources are available in abundance in the state. However, they have to be smartly utilised. As the number of small and micro entrepreneurs (SME) is large, efforts should be made to make them competent for the global market. The SMEs must get facilities like special funds to make them sound in capital, one-window for all necessary licences, action plan to increase productivity, infrastructural development, along with innovative information technology. Women are at the forefront of education. But in the industrial sector, speedy efforts have to be made to bring them in the mainstream. Along with proper training, it is important to provide security to women. This would increase their self-confidence and more women would join the corporate mainstream. In the backdrop of ‘Smart City’ project, it is equally important to initiate ‘Smart Farms’. India has an agro-centric economy and the contribution of women in the field is countable. With the Smart Farm initiative, Indian farmers can turn ‘agripreneurs’ and their farm productivity will rise. Specifically, agro-industrial development in rural Maharashtra is necessary. To provide processing and other facilities of international standard for the products of small scale industries, the State government has given permission to 12 clusters in the past one year. The work for five clusters has started. By December-end, there would be a public facilitation centre in place there. The cluster will help solve the problems of local industries while facilities of branding and marketing would be available under one roof. Under the Central government’s cluster development scheme, the State government has given permission to 12 clusters. For printing, two clusters at Ambegaon and Nanded have been given permission. For processing raisins, two clusters at Pandharpur and Kavthe Mahankal have been given permission. One cashew cluster each in Lanja in Ratnagiri and Shrungarwadi in Kolhapur have been given permission while permission has been given to clusters for rubber in Aurangabad, Khava processing in Osmanabad and rice mill cluster in Gadchiroli at Charmoshi. Also clusters have been given permission at Gondia for jaggery, for readymade clothes in Amravati and Varli painting in Jawhar. The cluster development will help the small, micro and medium industries at district level. Deputy Director of the Industries Department PG Rathod said that this would help generate employment and also make the international markets available. The work of five clusters in Ambegaon and Nanded for printing, khava processing at Osmanabad, rubber in Aurangabad and cashew processing at Shrungarwadi has already started. At all these places, a public facilitation centre is being set up, which would be fully functional in six to eight months, said Rathod. VAT, TAN registration is now online.